A technologically advanced range, engineered to be completely modular. The Britton Cube S20 collection will bring a touch of style and luxury to any modern bathroom. 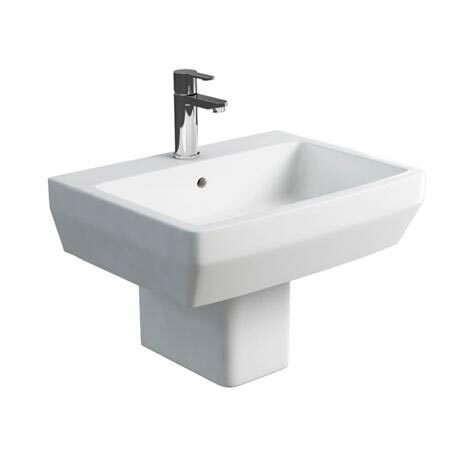 The range includes a selection of Pedestal Basins, Back to Wall Toilets and Bidets, Wall Hung or Floorstanding options available - Allowing your bathroom to have total co-ordination. All Britton Bathrooms pottery is covered by a 25 Year Guarantee. Simple design that will look great in my new ensuite.